Some 400 pounds of Ham Aid Amateur Radio equipment left ARRL Headquarters this week, bound for the Guayaquil Radio Club (HC2GRC) in Ecuador. 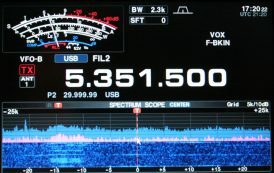 The radio gear will help to support relief and recovery efforts under way in the wake of a magnitude 7.8 earthquake that struck the South American nation on April 16. Valued at more than $7500, the equipment will provide reliable communication in areas where the telecommunications infrastructure suffered damaged. Corey said the recovery process can be lengthy, and radio amateurs in the affected area need repeaters, antennas, antenna supports, and many other things to be able to help those disrupted by disaster. “This is what Ham Aid is for, to enable Amateurs to effectively respond following a disaster to help their communities through the recovery process,” he said. Most earthquake damage occurred in the Guayaquil (HC2) and Portoviejo/Manta (HC4) areas. Some structures in Portoviejo and Manta suffered severe damage, with many victims buried in the rubble of collapsed buildings and homes. In the immediate aftermath of the disaster, electrical power and commercial telecommunication systems were either destroyed or disrupted, and many roads rendered impassable because of earthquake rubble. 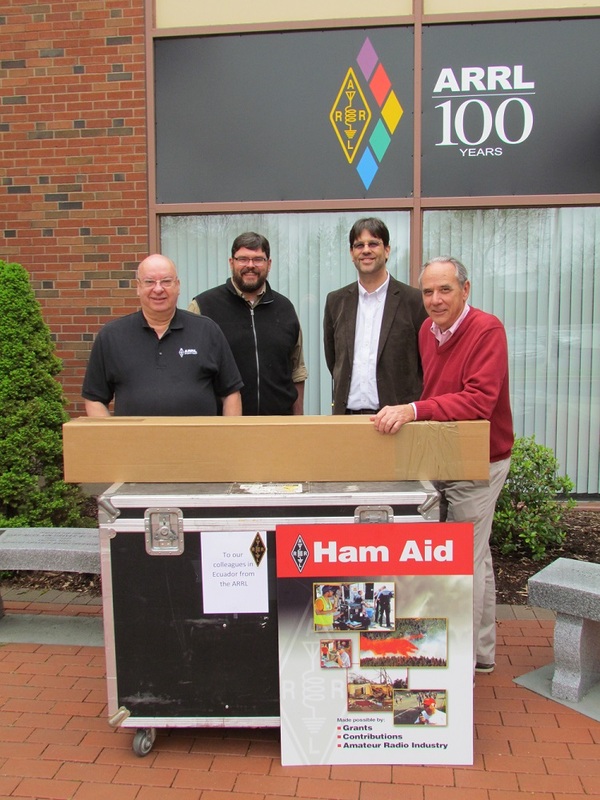 Corey noted that while most Ham Aid deployments are stateside, the opportunity arose for the ARRL to assist with this international disaster relief effort through the Guayaquil Radio Club. Five boxes of equipment left ARRL Headquarters on May 4, arriving in Fort Lauderdale, Florida, the next day. ARRL member Kenny Hollenbeck, KD4ZFW, picked up the items from Southwest Air Cargo for delivery to UTS in Miami for shipping to Ecuador.